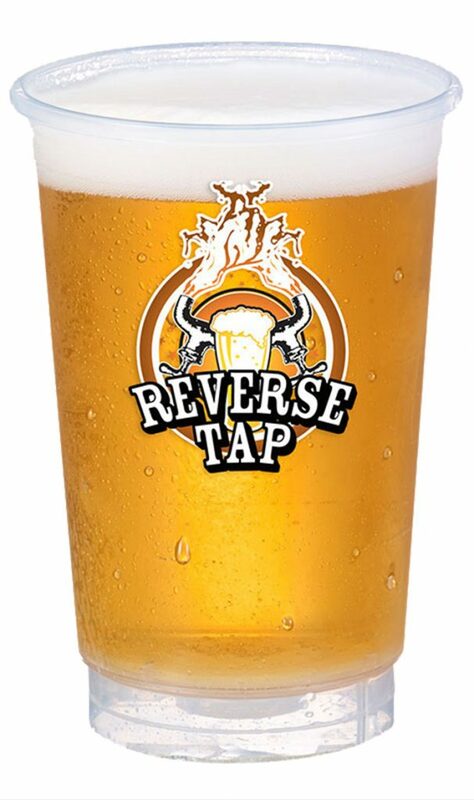 The ReverseTap Disposable Cups are super light weight cups designed to be easy to load and unload on ReverseTap Dispensers. Perfect for beer, mixed cocktails, cold brewed coffee, and any other kegged beverage. These cups are designed for great watertightness due to soft TPE. Highly transmissive with a high gloss finished. NSF Certified, NSF/ANSI 2 compliant. Manufactured by High-Speed & Precision Injection Molding. Due to pressure and elasticity from the tension part of the assembly, sealing parts of both the cup and the cap are tightly closed for water tightness. When the cup is inserted into the dispenser, the cap is lifted and opened by the nozzle to open a way for the beverage discharge. The cup & cap are tightly sealed again when removed from the dispenser.